The sun broke through the fog mid-morning at Mazda Raceway Laguna Seca, and the rest of the day was beaut. Because of the fog delay, the Rolex Monterey Motorsports Reunion Group B cars got a late start, so all eight groups had shortened qualifying races. 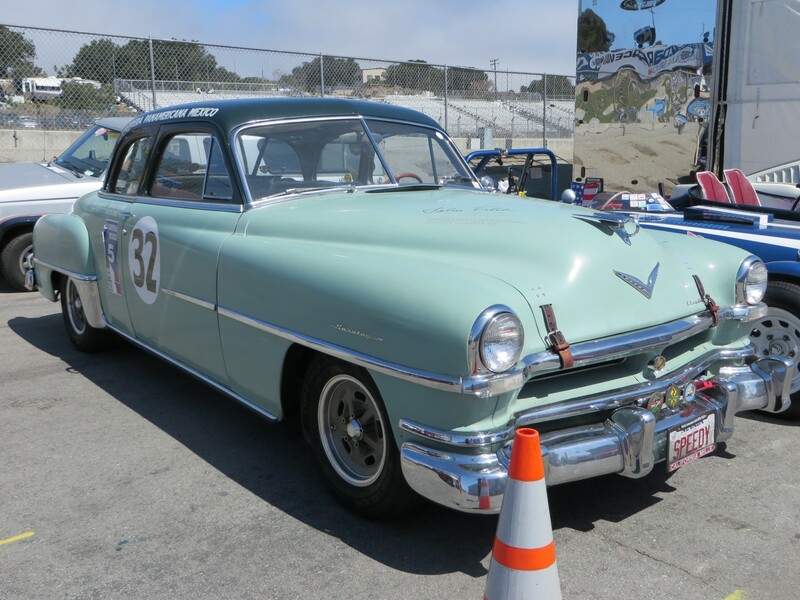 Race Group 1B – 1955-1961 Sports Racing Cars under 2000cc was won by Brian Orosco in his No.36 1959 Huffaker Genie Mk IV. He took the lead almost immediately, from his P3 start based on his finish in the morning race. 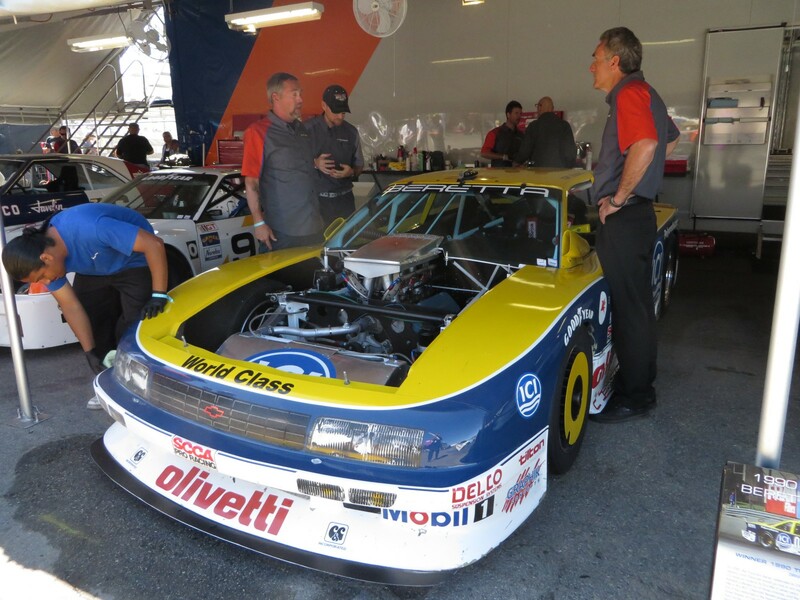 Brian Orosco turned the fastest time on the last lap of eight, with a burst of speed to 75.638 mph. Orosco’s Margin of Victory over Frank Zucchi in his 1960 Piranha Sports Racer was 09.118 seconds. Pole sitter from the morning race, Edward Lamantia’s 1962 Huffaker Mk V Genie, never ran. John Wilburn’s No.259 1959 Peerless AmBo gave out on his on the first lap, necessitating a flat bed tow, and three pace laps before the Green Flag. Another casualty was Tom Tuttle and his 1961 Huffaker Genie Mk IV. He started second, and was running fifth when he pitted and retired. The average race lap was 56.965 mph. Thirty-four cars of 39 ran the morning qualifying race, and twenty-eight in the feature. Race 2B for 1963-1972 FIA Mfg.Championship Cars was won by Gray Gregory, who was the pole sitter based on his morning’s finish. Runner-up was John Goodman and his 1972 Ferrari 312SP Spar, after starting fourth. The Margin of Victory was 09.510 seconds. Third starter and finisher was Cameron Healy and his 1970 Porsche 908/3. Gregory turned the fastest race lap of 84.502 mph on Lap 2 and 82.584 mph was the average race lap. The track has two radar gun ‘speed traps’ which measure the car’s speed at that given point. The Zoom-Zoom display on top of the Start-Finish bridge measure the speed going uphill into Turn One. For Group 2B the top speed was 127 mph. The other radar is between Turns Four and Five. Gregory led almost the entire 13-lap race. 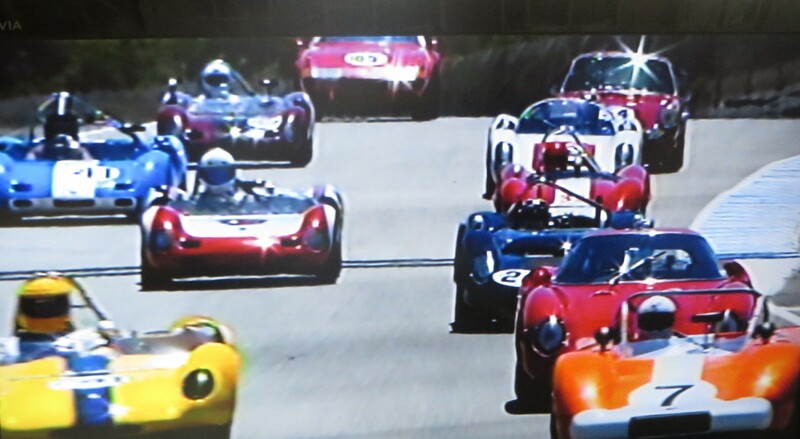 At the start, the second-placed starter, Harinda De Silva and his No.196 1965 Elva Mk 8 got the jump on Gregory, but spun out on course in Turn Three, and had to wait out the field before rejoining the pack. He went from back to P6 in no short time, and finished fifth, just ahead of veteran racer, Lyn St James. She started seventh and finished sixth. St James also was awarded the Rolex Award for excellence in her class, in 2B. The award is selected for each race group by an independent and anonymous group of judges. Seventh was veteran sports car and endurance racer, Gunnar Jeanette in the REVS car, No.526 1965 Ferrari 250 LM Berlinetta, after starting tenth. Wonder how that will show up on the data for which he is wired all over. 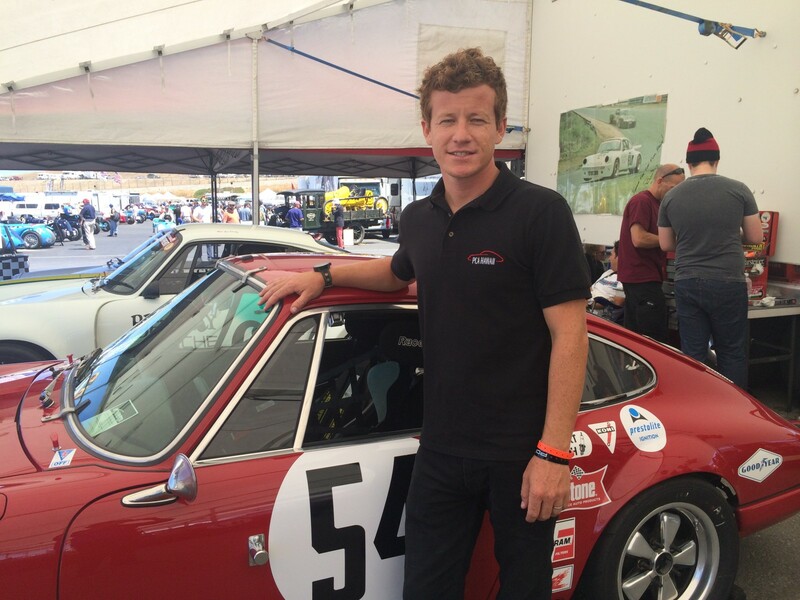 Porsche factory driver, Patrick Long, started P16 and finished in the No.54 1967 Porsche 911S owned Alan Benjamin out of Boulder, Colorado. 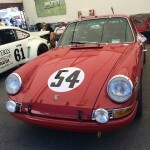 The car was a class winner in the 1967 Daytona 24 Hour race. Long described it as small, short wheel base and no aerodynamics. “It’s a bundle of fun and a lot of work.” This is Long’s first Reunion race. He ran Rennsport a few years back, and walked the paddock introducing himself to all the Porsche owners, saying if they ever wanted someone to drive their car, Long was ready, willing and able. It worked and a year or so later, he got the call. He helped set up Benjamin’s other Porsche, an Andial last weekend. Maybe next year Long will drive the Andial. Craig Bennett and his 1974 Shadow DN4 won the Group 3B race for 1963-1974 Can Am and USRRC Cars, and set the fastest time of 92.604 mph on Lap 3, the top lap time of the day. Car creator, Don Nichols, was at the track this weekend, keeping a low profile. He said he’s 90 years now, and it’s nice to see his Shadow cars still racing. Group 3 B was fastest all around. The Margin of Victory in the 13-lap race was 18.095 seconds, the average race lap was 85.383 mph – the highest of the day, and the Zoom-Zoom display highest speed was 152 mph – highest all day. Because the cars are out of sight it’s not easy to determine which car sets which speeds. Thomas Steuer started and finished second in the 1970 McLaren M8C owned by friend, Spencer Trenery, as Trenery’s still in a wheel chair with a broken left leg. Steuer is also racing his own Chevrolet Corvette in another group. 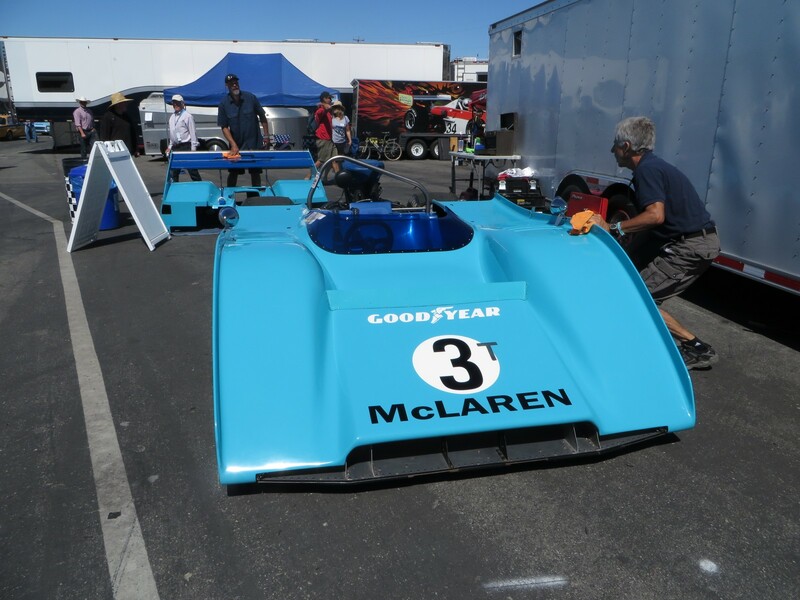 Rick Knoop and his wild blue 1972 McLaren M8F came in third. Knoop wore his father’s race suit to drive his father’s car. Knoop just spent the last 31 months putting together an hour+ long documentary on “The Last Race in The Forest” referring to the Pebble Beach race in which his late father, Fred Knoop raced. Many other local SFR SCCA and professional racers were from the area and are featured. The film had a private showing earlier this week, hosted by Pebble Beach. It’s getting good reviews from those who have the good fortune to see the movie. 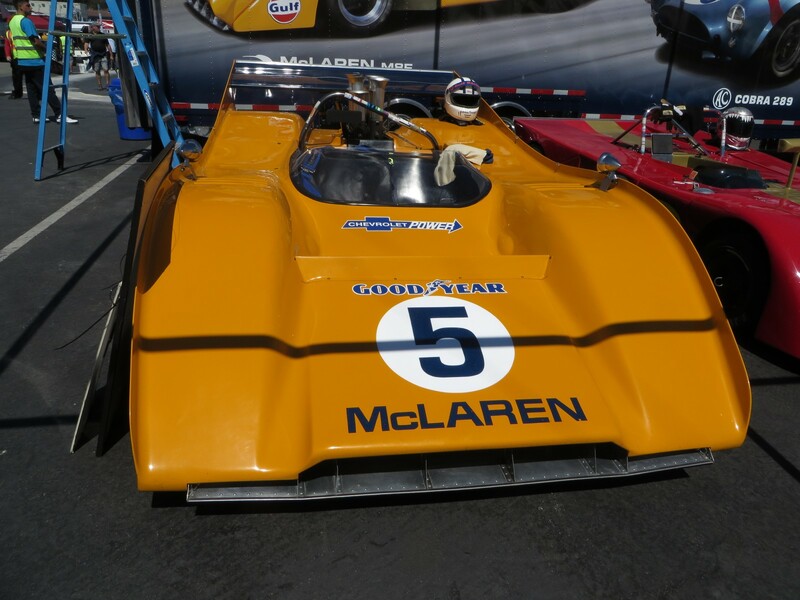 Chris McAllister and his No.5 McLaren M8F-1 started twenty-second, and moved right on up to fourth place. He received the Rolex Award of Excellence for his race group. 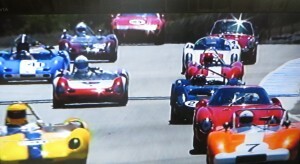 On the cool-off lap, Lilo Zicron crashed his 1966 Lola T70. He got two wheels off Driver’s Right past the Start-Finish Bridge, and shot across the track and hit the concrete wall on Driver’s Left, scattering parts and sending at least one wheel careening across track. The second and third place McLaren’s narrowly avoided the incident and threaded their way through the wreckage. The driver appeared shaken but otherwise OK.
Race 4B was won by second place starter, Mike Miller and his 1970 Chevron B19. World Champion Motorcycle rider, Eddie Lawson had the pole in his No.17 1975 Osella PA 3/5 and led much of the race, until it appeared that he fell back to fourth when he slowed for an Emergency vehicle and those behind did not. He moved back up to finish third by dogging Wade Carter’s 1974 Lola T294. Lawson set the fastest lap of 91.828 mph on Lap 5. Miller’s Margin of Victory over Carter was 00.847 seconds, and the average race lap was 85.22 mph. The Zoom-Zoom speed was 134. Sixteen of the 22 entrants raced. Race 5B for 1947-1955 Sports Racing and GT cars was won by the pole sitting car, No.25 Tatum Special from the UK, driven by Rob Manson of the UK. He also set the fastest time of 72.704 mph on Lap 3. The Margin of Victory was 00.241 seconds, the closest of the day. The Zoom-Zoom speed topped out at 104 mph. Second was Cameron Healey, who started in his 1953 Porsche Cooper Pooper. The Margin of Victory was , Third was John Buddenbaum’s 1949 Jaguar Parkinson Special, which started second. The average lap time for the 11-lap race was 71.03 mph. The Zoom-Zoom speed was 104 mph. Nineteen of 28 entrants competed. Howard Swig in the family No.32 1951 Chrysler Saratoga Club Coupe was entered, but did not run due to last minute mechanical problems. His father, the late Martin Swig, raced La Carrera Panamerica Mexico Rallye in the car, a sister car to the one raced by the late John Fitch – who has autographed Swig’s hood. Loud doesn’t begin to describe Group 6B for 1981-1989 FIA and IMSA GTP, 1980-1991 GTO Cars. And fast. Their Zoom-Zoom top speed was 146 mph. The top three finished where they started 1-2-3. Winner Welson Munsey drove his 1992 Mazda RX-t-92P had a Margin of Victory of 05.006 over runner-up Russell Kempnich of Australia in his 1984 Porsche 956C. 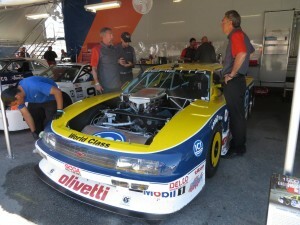 Canadian Pieter Baljet finished third in the 1990 Chevrolet Beretta originally raced by veteran driver and four-time Trans-Am Champion, Tommy Kendall. And perhaps coincidently, TK has now rejoined the new Trans-Am Series, racing his second Trans-Am race this weekend at Mid-Ohio Sports Car Course, driving No.11 Dodge Challenger SRT painted Sam Posey green – which replicates the color on Kenny Epsman’s No.77 Historic Trans-Am Dodge Challenger, affectionately called Green Slime. No fastest lap time was recorded. The average race speed was 81.364 mph. Twenty-six of 38 entrants ran the 8-lap race. After starting third, Herbert Wetanson won the 7B race for 1061-1966 GT Cars under 2500cc in his 1966 Alfa Romeo Ginetta G4. His Margin of Victory was ahead of Patrick Byrne in his 1965 Alfa Romeo GTA Corsa. Byrne started second. 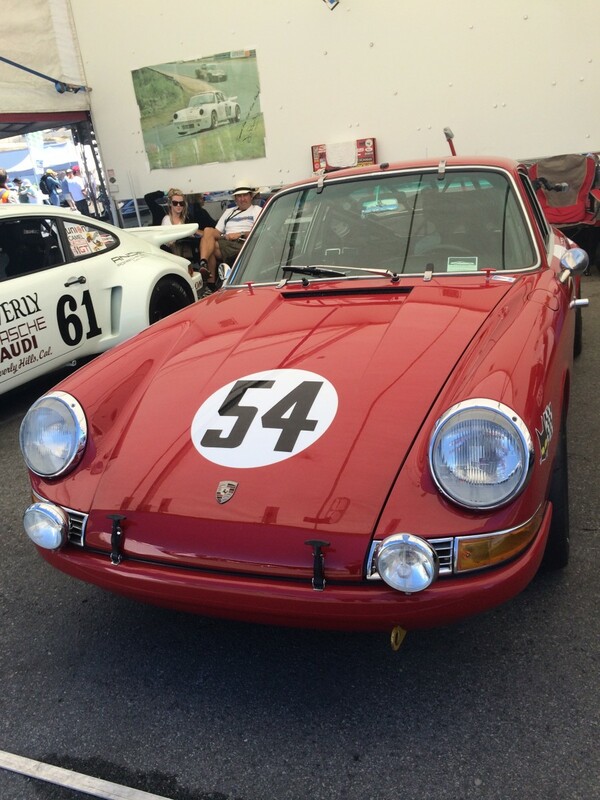 Finishing third was Alan Terpin’s 1967 Porsche 911 T/R-he started fourth. The fastest lap time was set by perhaps the youngest driver of the weekend – Byrne, at 77.195 mph on Lap 7, the Zoom-Zoom speed was 108 mph, and the average race lap was 71.457 mph. Ken Morgan and his 1968 Chevron B8 started on pole, but something happened on Lap Seven, and he was credited with P31 in a field of 34, of 46 entrants. The last race of the day and the weekend was 8B for For1974-1980 Formula Atlantics. Pole sitter Ethan Shippert drove his 1976 March 76B to victory. His Margin of Victory was 02.202 seconds, and his was the fastest race lap with a speed of 93.65 mph. Those cars can fly. They were the second fastest group of the day, turning a Zoom-zoom speed of 128 mph. The average race lap was 86.082 mph. 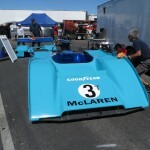 Veteran vintage racer Danny Baker of San Francisco started and finished second in his 1979 Ralt RT-1. He received the Rolex Award of Excellence for his race group. 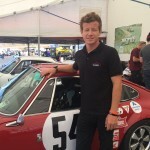 Danny’s father, Robert Baker ran and finished fifteenth after starting seventeenth. Robert also won the prestigious President’s Award, for being the person who richly personifies historic racing. He received the original Bill Patterson painting which graced the program cover and posters. Third was Wade Carter’s 1976 March 76B. The race was 12 laps, with nineteen competitors of the 27 entrants. 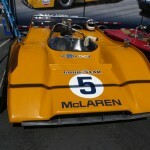 Jon Norman of Berkeley CA was one of the founders of the original Formula Atlantic Series. He campaigned long and hard to have a Formula Atlantic class at the Reunion. Two years ago Norman must have worn down the promoters as the class got its very own race. The class rotates with the Formula Juniors and Formula Ones. Norman bought back his old No.58 1971 Lotus 69, but not without effort. When Norman sold it, the owner really liked it but didn’t race it. Norman tried unsuccessfully several times to buy it back, and then from the relatives after his death. After several tries, Norman’s long-time buddy and partner in crime, Phil Reilly said ‘ “Let’s go get that car.” So Norman and Reilly drove to the brother’s place, and dickered until they reached an agreement. The car was suspended from the rafters of a barn. Why is it the beautifully restored cars we see these days were once languishing in a field, barn or garage? Anyhow, the car was restored, and Norman is enjoying racing it, although admittedly not quite as fast as in the olden days. He started and finished ninth, although he ran as high as ninth. Lyn St. James raced a 1972 March 722, starting twelfth and finishing eleventh. At the Awards Ceremonies after the races, next year’s featured marque was not announced … specifically. 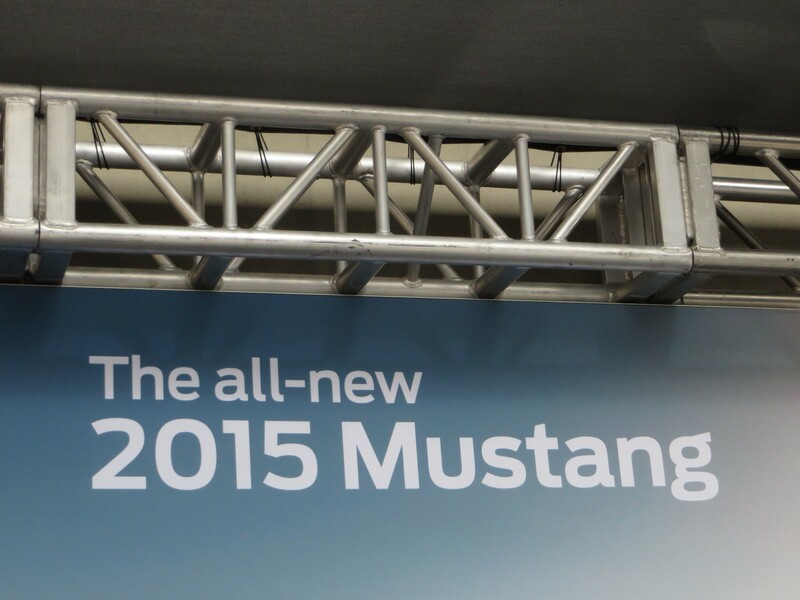 There were several not-so-veiled asides, such as “Oh look, here is a stunning P51 Mustang flying overhead. 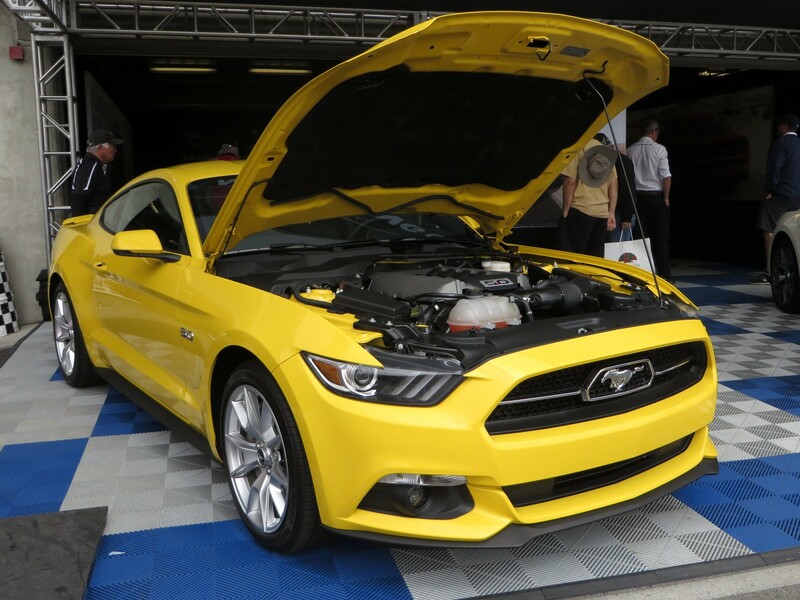 Next year we will be celebrating a very special 50th model anniversary with a manufacturer you all know for performance on the track.” And on cue, a vintage airplane – P51 Mustang, flew over. 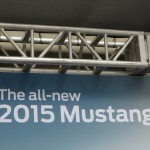 And Ford Motor Company just so happens to be celebrating the fiftieth anniversary of the Mustang car next year, and the 2015 car was on display in the paddock. Also available were souvenir small replica cars. So … you figure it out. This entry was posted in Vintage by Lynne Huntting. Bookmark the permalink.